SCMP says in its report “Tempest Trump: China and US urged to make plans for ‘major storm’ in bilateral relationship” yesterday that Trump’s candidate for secretary of state Rex Tillerson’s remarks on US blocking China’s access to its artificial islands has raised great concerts in the world as such a move may give rise to military conflict between the US and China. If the US does block the access, it will fight a large-scale war with China. I have repeated in my previous posts that the US will not be able to win as China has more land-based fighter jets than the US can send from its aircraft carriers while F-22s are vulnerable as they have to refuel on the air before reaching the theater and their airbases are within the range of China’s intermediate ballistic missiles. China simply has geographic advantages to win the war near its coast. 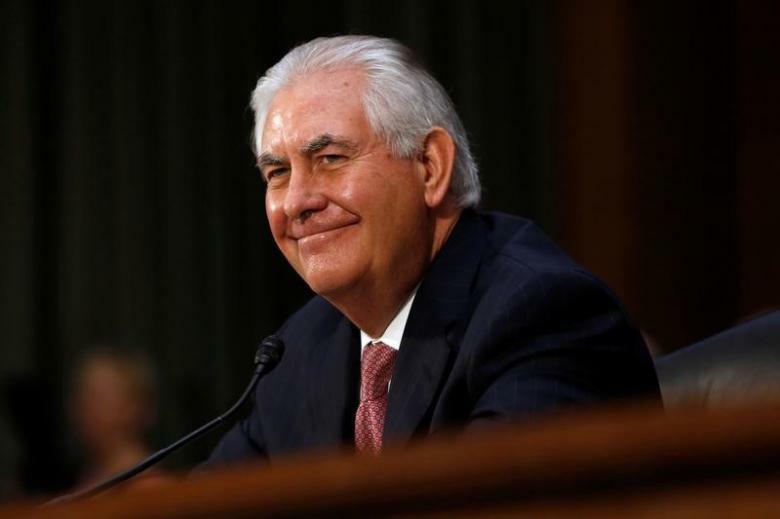 Knowing that, US new president Trump shall not openly support Tillerson’s remarks after his inauguration. If the US fails to block China’s access to the islands, it will betray its weakness and lost its allies’ confidence on its protection. Then, there is the question whether Trump is so stupid as to start such a hopeless war. I don’t think that Trump is stupid. Therefore, Trump has so far said nothing about Tillerson’s remarks. He needs not say anything as Tillerson has not yet been really appointed US Secretary of State and is not in a position to speak for the US. However, US reporters are worried about possible war if Trump does block China’s access and risk a large-scale war. According to Washington Post’s report “Is Trump ready for war in the South China Sea, or is his team just not being clear?” on January 24, they asked Trump’s spokesman Sean Spicer whether President Trump agreed with his nominee for secretary of state. That has displayed Trump’s wisdom. Trump certainly knows that those islands have been built on reefs claimed by China and other countries so that they are not international territories; therefore, he will find the answer of the question and does not block China’s access. However, he has the vision to foresee that with such capabilities of building large islands on reefs, China is well capable of building large islands in the oceans as military bases to counter US navy’s dominance of oceans and protect its trade lifelines through the oceans. It is what the US has to fight for because if China has built enough islands in the oceans, the US will entirely lose its world hegemony. Moreover, with its most powerful navy in the world, the US can be sure to win a war far away from Chinese coast in blocking China’s access to the islands China may build in the oceans. Trump is certainly not so stupid as to block China’s access to its islands in the South China Sea and begin a war that the US has no hope to win. However, he is clever to prevent China’s construction of islands in the oceans. Chinese leaders know that; therefore, they plan to build floating islands in the oceans. Such islands are much more expensive, but they can sail in the oceans and even move close to the US to attack US homeland. Being a vanguard for freedom of navigation, the US has no justified grounds to prevent the freedom of navigation of China’s floating islands near US coast. There will be real end of US hegemony when China has grown rich enough to build lots of floating islands and the US has declined further to lack financial resources to defend its homeland. That will be the real trouble for the US. Trump is clever to place priority on recovery of US economy to avoid that. It is high time for the US to carry out a policy of America first instead of maintaining its so-called world leadership that no one obeys. Comment by Chan Kai Yee on SCMP and Washington Post’s articles, full text of which can respectively be found at http://www.scmp.com/news/china/diplomacy-defence/article/2065707/tempest-trump-china-and-us-urged-make-plans-major-storm and https://www.washingtonpost.com/news/worldviews/wp/2017/01/24/is-trump-ready-for-war-in-the-south-china-sea-or-is-his-team-just-not-being-clear/?utm_term=.5b9ce0bac0c7. Chinese navy’s electric power expert Ma Weiming told CCTV10 on January 25 the electromagnetic catapult technology will replace traditional chemical energy technology within 10 years. People are excited at his words as they believe when China’s 3rd aircraft carrier will be completed within 10 years, it will use electromagnetic catapult. Chinese media speculates that steam catapult will be installed on China’s 2nd homegrown aircraft carrier, but so far there has been no official confirmation. However, Ma’s revelation is official as he has been granted national science and technology progress award first class for his achievement in developing electromagnetic catapult. 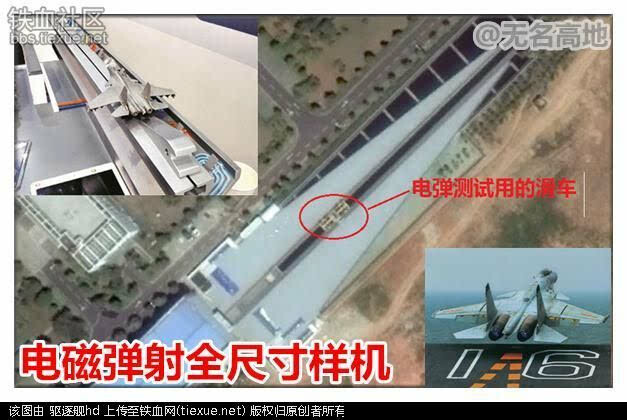 According to Ma, China built a full-size prototype of electromagnetic catapult on ground and conducted tests of it for over 2 years. Ma said the tests would soon be satisfactorily completed. The US built and completed tests of its ground prototype of electromagnetic catapult by 2010 and began to install it on its newest CVN21-class aircraft carrier the Ford in 2013. Judging by that, China will be able to begin installation of its electromagnetic catapult on its new aircraft carrier in 2020 the latest. By that time, China will be building its third homegrown aircraft carrier. The question now is not whether China is able to build such a catapult but whether China is able to build a nuclear aircraft carrier able to provide enough electric power to operate the catapult. However, since China has the technology for electromagnetic catapult, it has to make great efforts to build a nuclear carrier to use such catapult. Moreover, Ma’s statement that China will replace chemical energy technology with electromagnetic energy technology within a decade hints that China will have electromagnetic artillery to substitute electromagnetic energy for the chemical energy used in conventional artillery within 10 years. US military is certainly not in such poor conditions as Hamlet who is troubled by the question of “to be or not to be”, but is also troubled by a question: To disclose or not to disclose the details of its new advanced weapons? Disclose may scare its potential enemies, but neither China nor Russia has ever been scared. Russia invaded Ukraine and China built artificial islands knowing well that the US will oppose such moves. The most serious problem is that China has soon been able to develop weapons with functions and performance similar to or even better than what US military has disclosed. According to China’s gifted strategist Sun Tzu, one will not be in danger in a war if one knows both itself and its enemy; if one only knows itself or its enemy, one has only a half chance to win; but if one knows neither itself nor its enemy, one will lose each and every war. Even if China is not able to develop weapons similar to US ones, China has more than half chance to win as it knows itself and has some vital information about US advanced weapons. Therefore, the answer to the troubling question shall be no disclosing of US advanced weapons. Still US military has to disclose. How can it get funds from Congress and support from media and public opinion for their huge spending in developing such weapons if it does not disclose? To disclose or not to disclose, that is the question that constantly troubles US military! Is China So Stupid as to Take over US Burdens as World Leader? In its report on January 24 titled “Diplomat says China would assume world leadership if needed”, Reuters quotes Zhang Jun, director general of the Chinese Foreign Ministry’s international economics department, as saying, “If anyone were to say China is playing a leadership role in the world I would say it’s not China rushing to the front but rather the front runners have stepped back leaving the place to China…. If China is required to play that leadership role then China will assume its responsibilities”. That is not true. China comes out to take leadership in economic globalization to counter US new president Trump’s isolationism as globalization greatly benefit China. It does not take the leadership passively due to the US isolationism. On the contrary, it needs globalization to conduct win-win cooperation with other countries to exploit their market and labor and natural resources and find opportunities of investment for China’s surplus capital. Zhang describes that as China assuming its obligations as world leader, but China in fact assumes the responsibility, first of all, for its own interests. China shall not be so stupid as to take over the burdens of world leadership that the US finds it too heavy to bear. For its own interests, China may assume political and diplomatic leadership in addition to economic leadership, but it shall never be so stupid to take over US military leadership to scare other countries and interfere in their internal affairs. 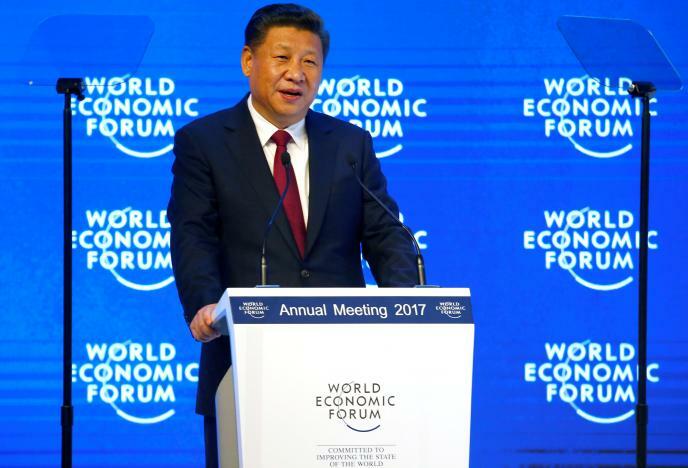 Xi Jinping’s speech at World Economic Forum on January 17 advocates globalization and criticizes isolationism, but he only expresses China’s desire for win-win cooperation with other countries for China’s benefits and what benefits others may gain due to China’s role in globalization. There is nothing that smells of his desire for replacement of the US as world leader. However, if the US keeps on its isolationism for its own interest at the expense of other countries, it is unavoidable for world leadership to fall on China. I hope China will not lord over others when it is world leader. Comment by Chan Kai Yee on Reuters’ report, full text of which was reblogged here on January 24. J-20’s advanced diverterless supersonic inlet (DSI). Five types of Chinese fighter jets have such most advanced inlet while only one US fighter jet F-35 has it. I do not know whether China copies the US or vice versa. I am really sorry for those pro-US readers who have been upset by my description of China’s advanced weapons. They are especially furious that they find lots of similarities to US most advanced weapons in China’s. Out of their fury, they have made some furious comments on China’s inability to invent on its own and showed their contempt in that regard. I am sorry to hurt their feelings as I merely want to give readers information and if possible, entertain my readers. I am glad that they seem to have eased their fury by their comments as such fury is indeed harmful to their health. Some of my readers are upset by such furious and contemptuous comments and have even argued that China has not copied US weapons. As a Chinese, I am, on the contrary, proud of China’s ability to copy others’ best weapons as it saves China lots of costs and time to catch up and surpass the others in weapon development. In fact, China seems to be the only copy master in the world that is able to copy US most advanced weapon such as F-35 stealth fighter jet that the US is so proud of. Other advanced Western countries and even Japan have to buy F-35s from the US at cut-throat high price in spite of their high technological capabilities. 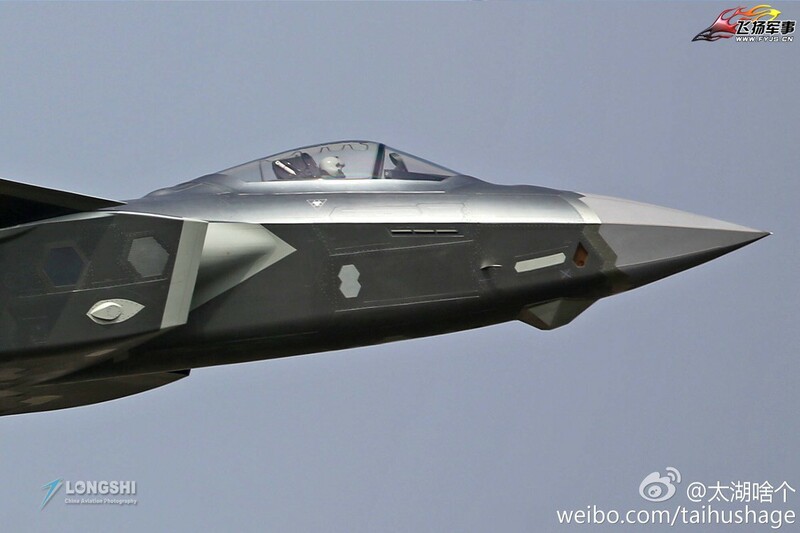 China’s J-31 looks like F-35 and according to pro-US readers’ comments, there are quite many functions similar to F-35. They suspect that China copied F-35 as according to media report, hackers have entered relevant computer network and stolen quite a few documents about F-35. There is no evidence that the hackers are Chinese but since there are so many things in J-31 similar to F-35, it is reasonable for people to suspect that China has stolen some of F-35’s secrets through hackers. I would rather believe that China has indeed stolen some secret information. I am proud of Chinese spies’ capabilities if they have indeed done so to enable China to catch up with the US in weapon development so quickly so as to make the US think twice before attacking China. Use of spies is indispensable for a country’s national security. China’s gifted strategist Sun Tzu stressed the importance and gives detailed description of the techniques in using spies in one of the 13 chapters in his masterpiece “The Art of War”. Why does the US have such a large department as CIA and incurred so much cost to spy on other countries? It knows well spies’ indispensable important role. Snowden has disclosed that US spies even tapped German Chancellor Merkel’s mobile phone. Is CIA ashamed of that? Copy if China can. Steal if China can when it has difficulties in copying its enemy’s advanced weapons and its spies need to risk their lives to steal some information or some parts or even the whole weapon to enable China to have weapons to counter its enemy’s weapons. We shall celebrate China’s achievements in copying and stealing its enemy’s better weapons for its national security. There is nothing to be ashamed of. With much smaller military budget than the US, China is able to develop weapons rival to and even better than US. Chinese weapon developers are motherland lovers. They begin development of weapons they think useful for national defense with their own funds before asking for the government for funding. That is why J-31 stealth fighter jets is being developed even when the government has decided to develop J-21 only. Development of a stealth fighter is very expensive, but J-31’s developer is willing to do so with its own funds. The developer hopes the military will buy J-31 so that it can recover the costs, but it cannot be sure about that. Anyway, it wants to strengthen China’s national defense and believe that J-31 will be useful as long as it is successfully developed. Some speculates that J-31 will grab quite a big market share from US F-35 and thus enable the developer to make big money. In that respect, the developer’s goal, again, is to benefit China in making money for the growth of China’s weapon industry and reduce the profit of the weapon producer of a potential enemy. Whatever the developer’s goal, it is patriotic. That is what a big weapon player has been doing. There are lots of Chinese firms and organizations enthusiastic in developing unmanned aerial and underwater vehicles (UAV and UUV) for military purpose without government funding. That is why China is able to catch up with and surpass the US in UAVs and UUVs. China is making big money in exporting UAVs so that other countries are helping Chinese patriots with funds in developing UAVs. China’s weapon developers are motherland-lovers. A patriot is willing to sacrifice even his life for his motherland. He certainly is willing to take financial risk in developing weapons for his country. Experience tells us those who are willing to take great risk may make great money. That seems the case with Chinese weapon developers. In the US, however, the military has first to ask Congress for funds before telling US weapon developers to develop weapons as US weapon developers are money-lovers instead of motherland-lovers. They usually do not take initiative in developing weapons but wait passively for government funding. Sometimes, they do have some initiative in developing new weapons but only for the goal of attracting government funds for the development and production to enable them to make big money. As soon as it is clear that the government is utterly not interested, they give up no matter how good the weapons will be in strengthening US military. If the situation remains so, there is no hope for the US to win its arms race with China. China may be testing a new, long-range air-to-air missile that could take out early warning aircraft and aerial refueling aircraft, a state-run newspaper said on Thursday, after pictures of the new missile surfaced online. President Xi Jinping is overseeing an ambitious military modernization program that includes stealth jets and aircraft carriers. The country has also tested anti-satellite missiles. The military modernization comes as China has rattled nerves around the region with increasingly assertive moves to bolster its sovereignty claims in the South China Sea and over Taiwan, which it regards as a breakaway province.